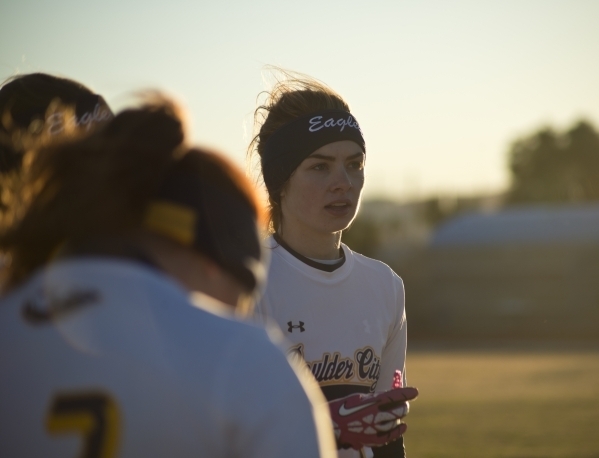 Top-seeded Boulder City (18-0), which has won 40 consecutive games dating to 2014, will get an opportunity to showcase its talents to everyone else when it hosts No. 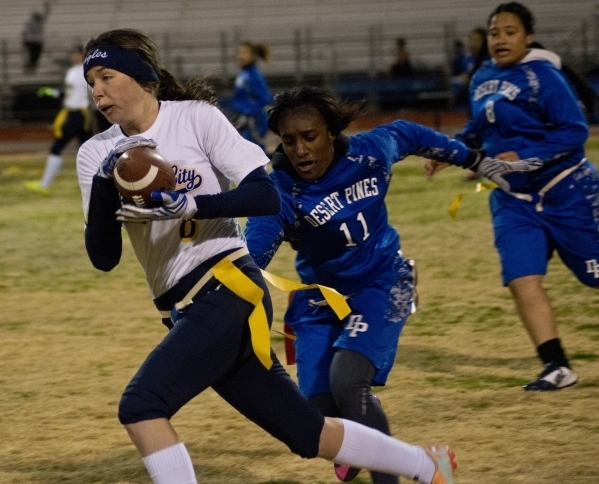 4 seed Desert Pines (9-10) at 4 p.m. Tuesday in the Division I-A Sunrise League tournament to open the flag football playoffs. 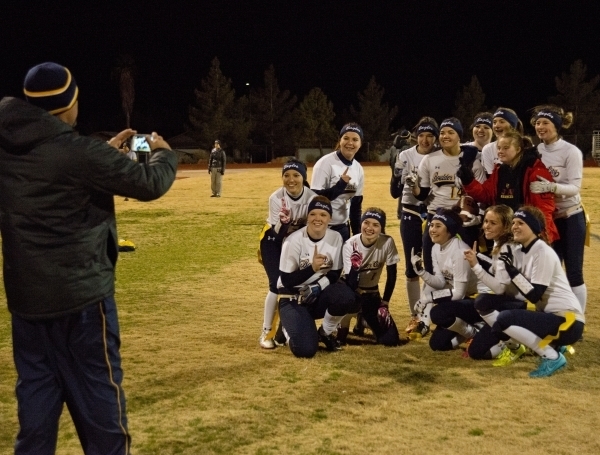 All other games will simultaneously take place at host sites around Southern Nevada. Chris Morelli has been involved with and coached a number of sports at Boulder City High, including football and baseball. He would be the first to say none of them compares to his current flag football team. 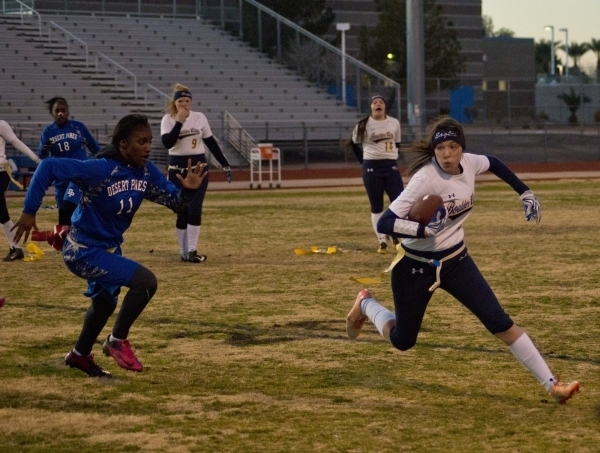 Led by senior quarterback Jeanne Carmell — who arguably is Southern Nevada’s top player — the defending-champion Eagles have gone 60-1 the past three seasons and have finished the past two regular seasons undefeated. 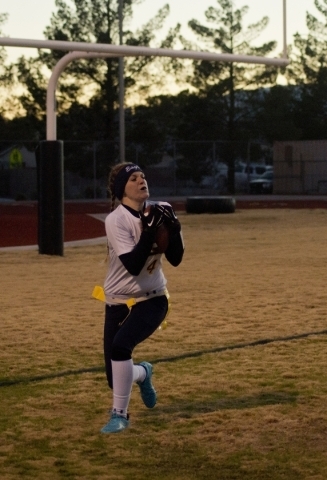 Their last lost came on Feb. 24, 2014, to Green Valley in the Clark County School District semifinals, back when there was just one big division. 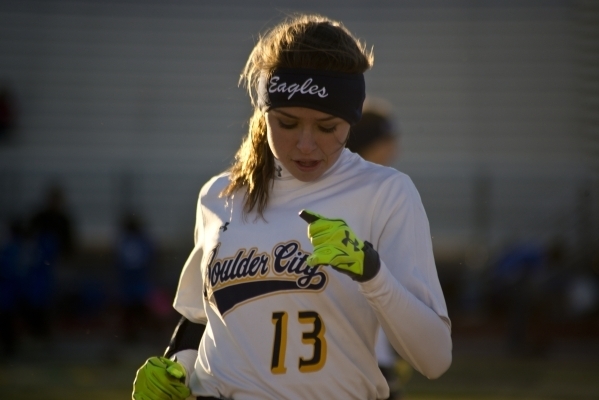 But with the new realignment, Boulder City won’t get that opportunity in these playoffs. They will, however, get the chance to repeat as undefeated champions. All eyes will be on Carmell, who has been the driving force behind the team’s success over the past four seasons. 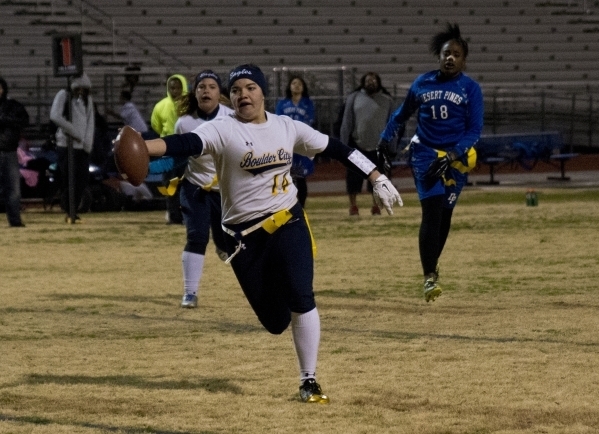 This season, she has completed 340 of 486 passes for 4,760 yards and 61 touchdowns and just three interceptions. 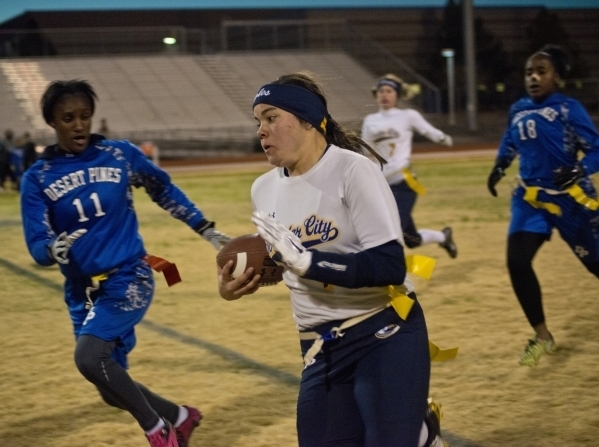 She has rushed 109 times for 1,210 yards and 20 TDs. 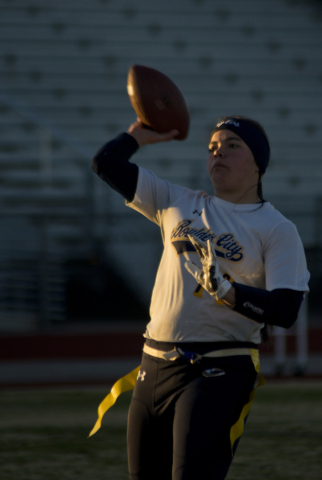 “She is hands-down the best quarterback this league has seen and will ever see for a long time,” Morelli said. “I tell her what to do, and she just does it. I don’t even have to second-guess her. 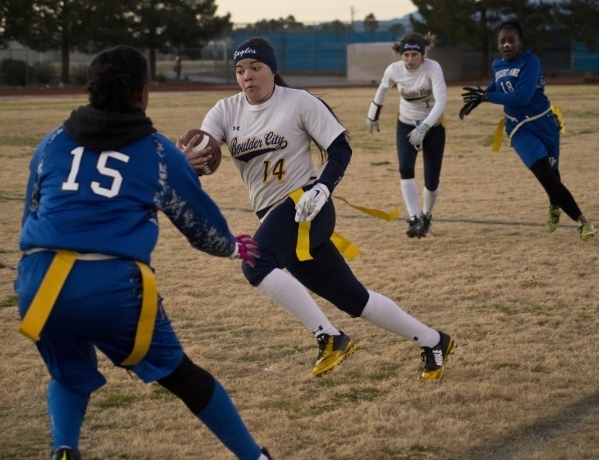 But it’s not just Carmell that has turned the Eagles into a flag football powerhouse. 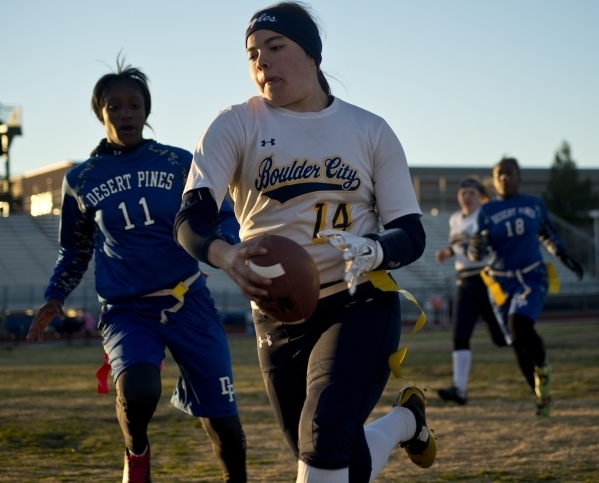 Boulder City’s defense has given up only 3.8 points per game this season and has recorded 10 shutouts. 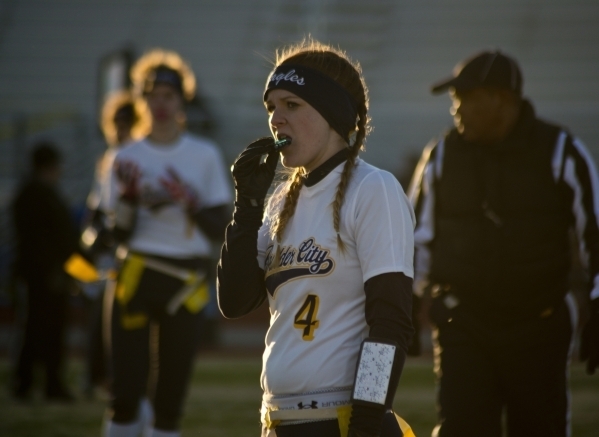 Kenadee Bailey, a junior linebacker, leads the group with 119 tackles and nine interceptions, including one that was returned for a touchdown. The offense, despite regularly pumping its brakes in the second half, also does its part by scoring 37.9 points a game. 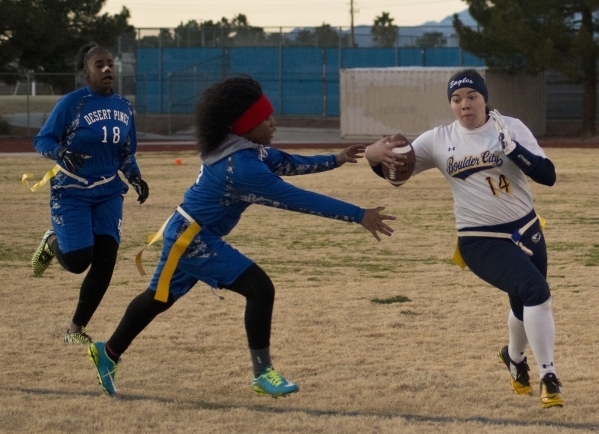 Senior Oshanna Remy is another dynamic playmaker. She has 92 receptions for 1,357 yards and 15 touchdowns for the Eagles, who also have gotten 57 catches, 894 yards and 17 TDs from Bailey. 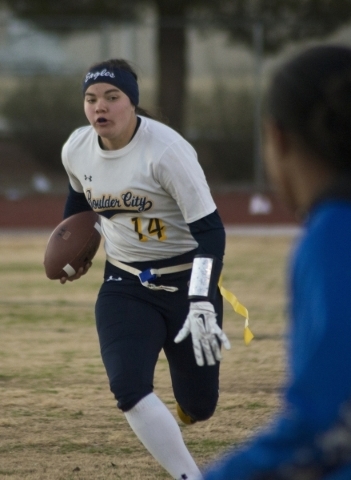 Both players will have key roles should Boulder City make another run. 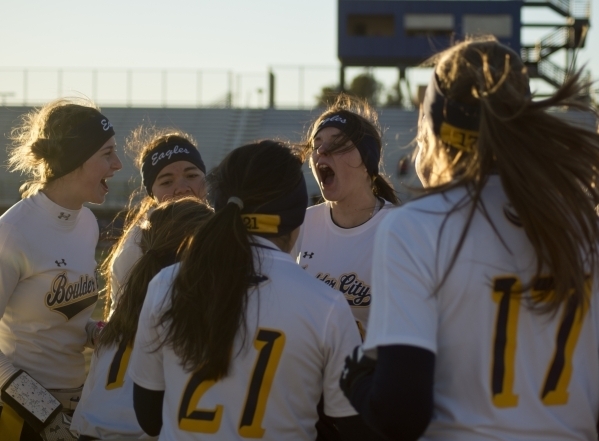 Morelli admits it’s going to be hard to say goodbye to this group of girls. He already got a little emotional last Thursday on senior night. But if everything goes accordingly, he will have his players one more week. And three more games.